We're bored with the "Blue Wave" metaphor. We'll go with "Dividist Pac-Man"
With Jones in the Senate, the GOP is barely afloat with a 51-49 Senate majority. It doesn't seem a massive political tsunami should be necessary to flip a leaky Republican rowboat with a mere two seat majority. An energetic GOTV ripple or two might do it. But those numbers are misleading. There are 33 contested Senate seats in this election cycle. Twenty four of those seats will be defended by Democrats, only nine by Republicans. This class of Democratic Senators were elected on the coattails of Barack Obama's re-election in 2012, and a number of them are in states carried by Donald Trump last year. Only two Republican seats are considered toss-ups and the other six are either leaning or strong Republican. The Democrats would have to take both toss-up seats and defend 100% of their own. It's just not going to happen. The wildcard for Senate predictions in this election is whether either the moonbat left or wingnut right successfully primary establishment candidates and run clown candidates that scare the electorate. As Republicans found in the 2010 and 2012 Senate races and again this year in Alabama, there are limits to what even partisan voters will accept in a candidate. We assume that voters from both parties have learned that lesson, but we could be wrong. If the parties avoid that mistake and the candidates fall into the normal politician range our Dividist 2018 Senate prediction is that Republicans pick up 1 or 2 seats and retain the Senate majority [Nailed it.*]. The House of Representatives is notoriously difficult to flip. Tip O'Neill's famous dictum "All Politics is local" is generally applied to House elections. Historically, incumbent representatives enjoy 95%+ reelection rates with strong local support, even if Congress is wildly unpopular. For whatever reason, voters who hate Congress still love their representative, particularly if they bring home the bacon, which they all do. Despite the entire House being up for reelection every two years and only 1/3 of the Senate at risk each cycle, for over 100 years, the House never flipped unless the Senate flipped first or concurrently. That changed in 2010 when the GOP flipped the House but fell short in the Senate. This was widely attributed to Republicans undermining their electoral advantage by posting a slate of un-electable clown candidates. They did the same in 2012. Eventually they figured it out and took the Senate majority in 2014. Any rule is only true until it is not. Tip O'Neill's maxim "All politics is local" was not true in 2006 and 2010 when nationalized wave elections made politics decidedly not local and flipped House majorities. Since then, including 1856, there have been 80 81* Republican vs Democrat elections for control of the House and Senate. Over that period of time the House has flipped majorities exactly 17 18* times - in 1858(R), 1874(D), 1880(R), 1882(D), 1888(R), 1890(D), 1894(R), 1910(D), 1918(R), 1930(D), 1946(R), 1948(D), 1952(R), 1954(D), 1994(R), 2006(D), 2010(R) and maybe 2018(D). "The interpretation of this phenomena is pretty clear. A nationalized i.e. - not politics is local - election requires a national focus to energize the voters. A sufficient "wave" election needs an organizing principle to power the kind of tsunami that can flip the House. Focused anger/blame on a unified party in power does the trick. A divided government distributes the blame and blurs the electoral focus. A divided government cannot drive a sufficient nationalized election groundswell to overcome local favorites and local politics. 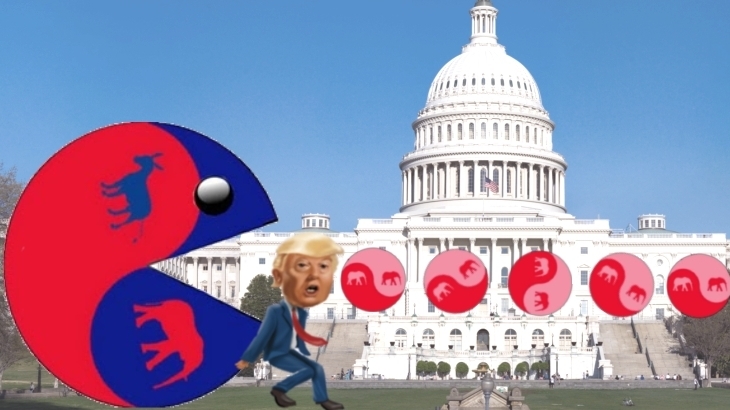 We conclude that, as we've stated repeatedly, a one party unified government is a necessary but not sufficient condition to flip the House majority. Still, a unified government can remain in place for many years without a reaction against the concentrated one party rule. Additional factors, above and beyond one party unified government rule, must come into play to precipitate a wave election. In general it takes an additional combination of corruption, overreach and/or arrogance on the part of the unified party in power to align voters in opposition and nationalize the House election." 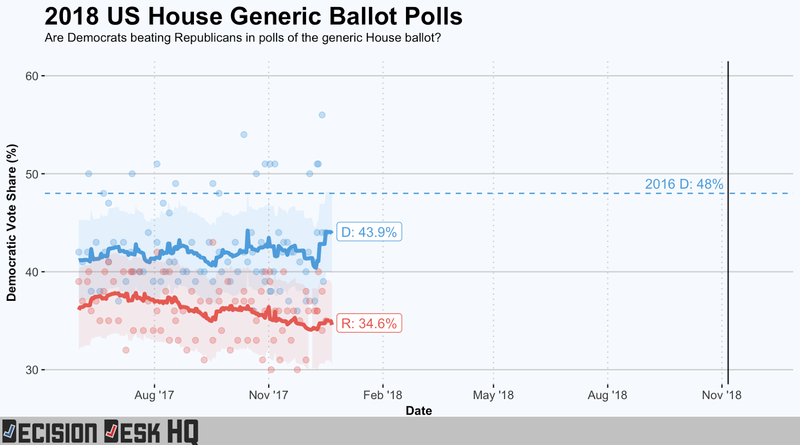 Late in 2013, the Democrats also had a ~9% lead in the generic poll, prompting a lot of triumphalist tweeting about the prospects of Democrats reclaiming Congress. One year later the GOP picked up 9 Senate and 13 House seats in the 2014 midterms. That said - it's different this time. In the 2014 midterms, the Democrats were up against a divided government and the historical precedence of the "O'Neill Exception." In the 2018 midterms the Democrats are facing a unified one party rule Republican government, and the "O'Neill Exception" has their back. Above and beyond the necessary condition of running against a Unified Government to nationalize the election, history offers additional conditions common to prior House flips that sufficiently offend the electorate to vote against the party in power. In short, the unified party in power has to cooperate by demonstrating some combination of egregious legislative overreach, blatant corruption, and/or arrogant abuse of power. This is the Trump One Party Rule Unified Republican Government - so no problem. Those conditions are met. 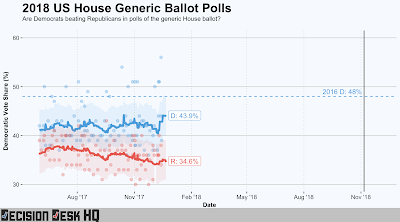 The Dividist 2018 House of Representative prediction is the Democrats will pick up around ~35 seats and take majority control of the House [Democrats picked up 40 seats to take the majority*]. Another key for Democrats will be forging a nationalized campaign organized around a unifying message in opposition to Trump administration overreach. Just like they did successfully in 2006 against the Bush/Cheney administration. And they should avoid running the kind of brain dead, electorate fracturing, identity politics campaign that so many of them love. It would also help to replace polarizing leadership that may deter independent and moderate voters. We are looking at you, Nancy Pelosi. 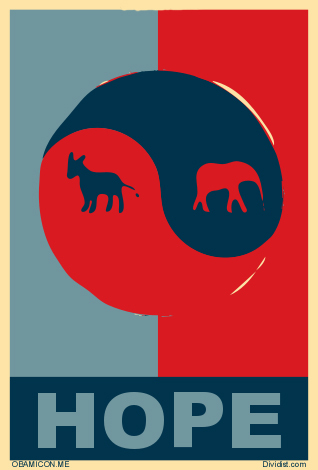 Cross-posted on Uniters.Org: The Dividist is pleased to participate in Solomon Kleinsmith's ambitious new venture to organize Centrists, Moderates and Independents. Check it out. Three exceptions that prove the rule. The 1880 election for the 47th Congress of coincided with the presidential election between Democrat Winfield Hancock and Republican James Garfield when Republican President Rutherford Hayes declined to run for reelection. Going into the election the government was divided. Democrats held a 42-32 seat majority in the Senate. Republicans controlled the White House and a 148-132 seat majority in the House of Representatives. James Garfield won the Presidency, Republicans picked up 5 seats in the Senate to create a 37-37 tie (broken by Republican VP), and took control of the House by flipping the majority to 151-131 with a net gain of 19 seats and a unified Republican government. One interesting sidelight - 78% of the electorate turned out to vote in one of the largest turnouts in American history, and this was the closest popular vote in U.S. history with the presidential candidates separated by less that 2,000 votes. The 1888 election for the 51st Congress coincided with the presidential election between incumbent Democrat Grover Cleveland and Republican challenger Benjamin Harrison. Going into the election the government was divided. Republicans controlled a narrow 38-37 seat majority in the Senate. Democrats controlled the White House and a 167-154 seat majority in the House of Representatives. Benjamin Harrison won the Presidency, Republicans maintained their one seat majority in the Senate, and Republicans took control of the House by flipping the majority to 179-152 with a net gain of 25 seats and a unified Republican government. The 1948 Election for the 81st Congress coincided with the presidential election between incumbent Democrat Harry Truman and Republican Thomas Dewey. Going into the election the government was divided. Republicans controlled a 51-45 seat majority in the Senate and a 246-188 seat majority in the House of Representatives. 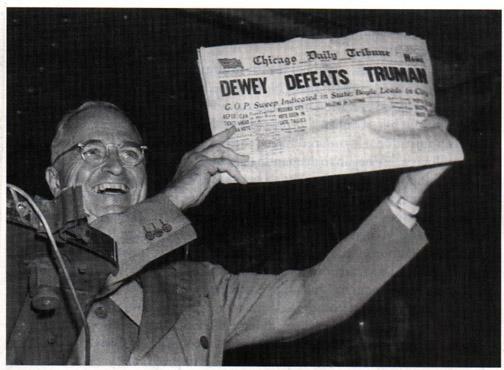 Thomas Dewey - I mean - Harry Truman won the Presidency. Yeah, there was a lot of confusion about that election, and the electorate might have been anticipating a Dewey victory, as was the Chicago Daily Tribune. Regardless, Democrats flipped the Senate gaining 9 seats with a 54-42 majority and the House gaining 75 seats to a 263-171 majority and a unified Democratic government.